1977 was a momentous year for South Shields. 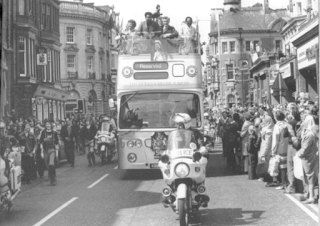 Not only did the Queen pop in during her Silver Jubilee tour, but the following month the King came too: Mohammed Ali was somehow persuaded by a local painter and decorator from Whitburn to make the trip from the United States to support his local boys’ clubs. 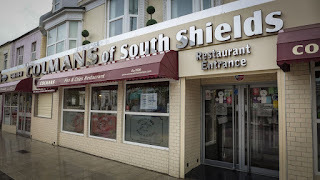 There’s a lovely documentary called “The King of South Shields”, made by Bridge+Tunnel Productions, which documents the effect that Ali’s visit had on the town, particularly on the local Yemeni community after he had his marriage blessed in the local Al-Ahzar mosque. In the film you can see the crowds thronging the open topped bus as Ali glides down Ocean Road past Colmans fish and chips. 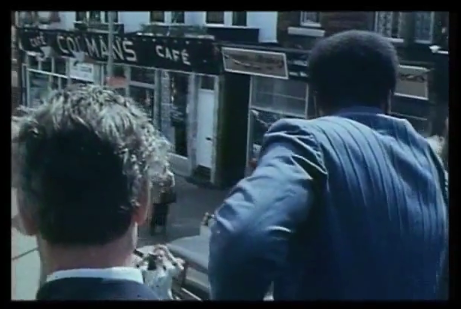 I’ve always liked to think that Ali might have been momentarily distracted by the wonderful smell of frying and popped in for a catch of the day. 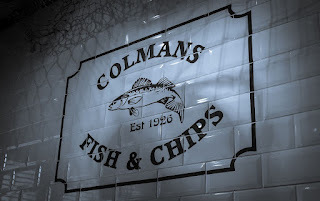 “No visit to North East England is complete without tasting Colmans fish” says their website. So Ali missed a treat, and the Queen did too, but the walls of Colmans are covered with photographs of other celebrities who made it past the water sculpture and into the white-tiled inner sanctum. This is no ordinary fish and chip restaurant, it’s been a North East institution since 1926, and over the years (it’s now in its fourth generation of Colmans) they have garnered fans and accolades in equal measure. 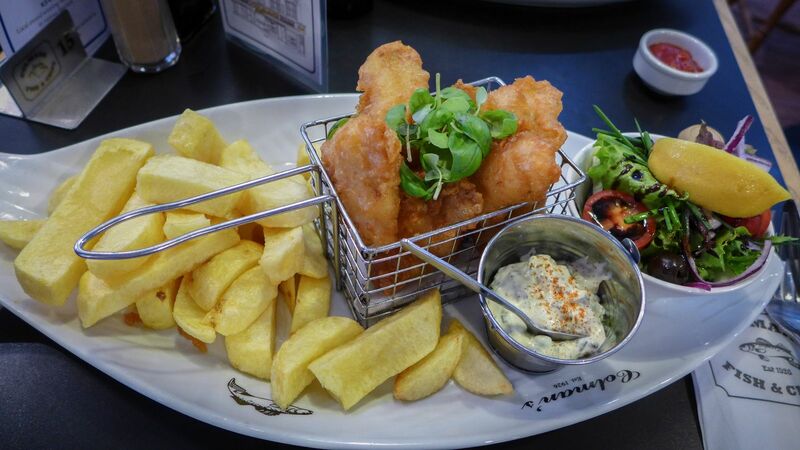 Including myself: Colmans is where I always take friends from the South when they crave proper fish and chips. Yet this is the first time I’ve formally reviewed the place for these pages. I so wanted it to be perfect. But as the first rule of the Secret Diner is honesty, and these reviews are always based on a single visit, I’m afraid to report that it wasn’t quite the ultimate experience I’d anticipated. Patrick Stewart, Tony Blair and Keith Chegwin were all there as usual, grinning down from the walls. We had thought it might be quiet on a Monday lunchtime, but the senior citizens’ special (£5.99, including a pot of tea) was packing them in. Mrs Diner and I have a routine at Colmans: one regular, one exotic. Cod and chips for one, and something unexpected for the other. Last time we had a superb local Dover sole with herb butter and giant caper berries. Today it was a tossup between “turbot special with brown shrimp”, or “Colman’s famous hand-prepared scampi: locally caught langoustine tails cooked in Colmans’ secret recipe batter”. The crustacea won. The cod was, as always, perfectly cooked, by which I mean almost under, with only just enough heat to persuade its thick flakes to bid each other farewell. This is the fish that has won Colmans the “best in the UK” awards on so many occasions. Not just the clean ozone purity you get from the freshest specimens, landed across the river in North Shields from boats identified in chalk on blackboards in the restaurant, but also excellent batter: a rich shade of tan, as crisp as you could wish. But, alas, we must talk now of chips. These were thick, hefty fellows, but I could swear these were a shade or two lighter on the colour chart. Cooked through, but pallid; no crispy bits, no crunch. I looked around to see if we had caught a rogue plate of dud spuds, but no: everyone else’s was as pale as ours. “Chips are important,” I sighed, and turned to my langoustines. With the menu claiming them to be “the best scampi in the world”, and at £20 a portion, perhaps my hopes were just too high. The langoustines were certainly sweet, but something had gone a bit awry. Perhaps there was just too much batter or the oil temperature had been a bit off. Either way, there was a sludgy layer of undercooked, greasy batter clinging on, which spoilt the taste for me, and another mound of wan chips didn’t add to the experience. The small bucket of homemade tartare sauce, ripe with the tang of capers, perked it up no end. 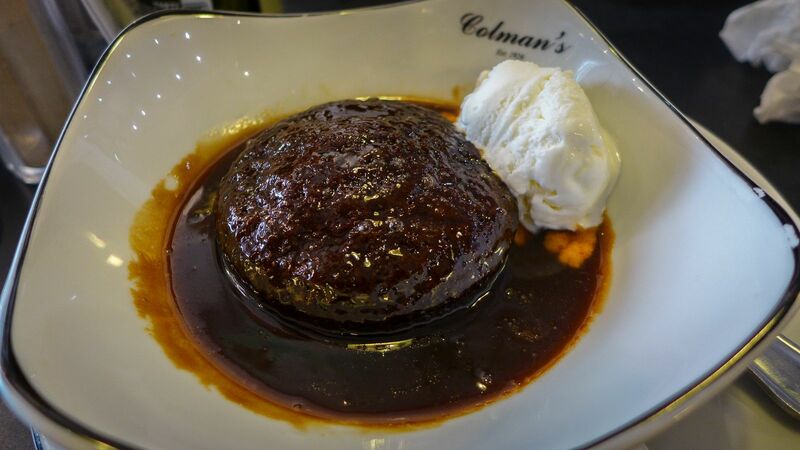 Where Colmans separates itself from much of the competition is what it does away from the hot fat fryer. The wine list is concise but varied and very reasonably priced. 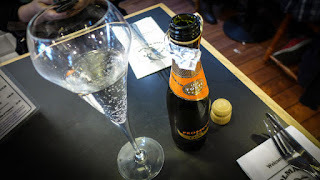 Gusborne is a superb English sparkler, superior to all but the most serious champagnes, and Colmans sells it for just £33 a bottle, only a fraction more than its supermarket price. They keep Dom Perignon too (presumably for visiting celebrities). 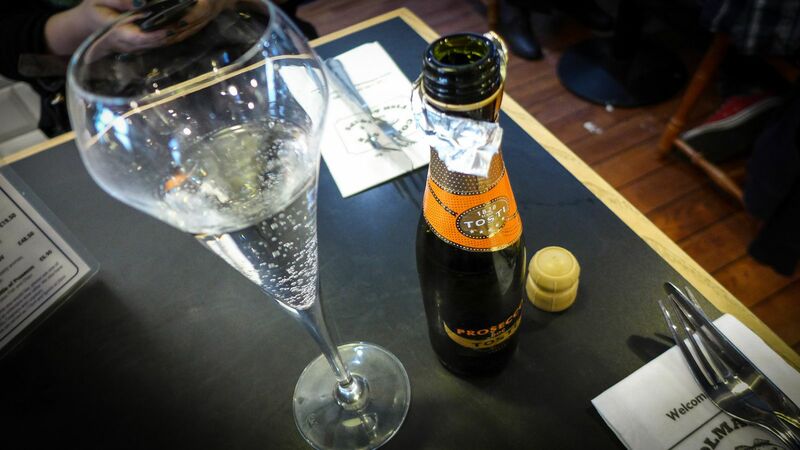 We made do with Prosecco. Later we shared a Cartmel sticky toffee pudding which, alongside some really pure tasting vanilla ice cream, was predictably great. If you aren’t going to make it yourself, at least buy in something decent. Service throughout was brisk, but not brusque. We stepped out into the pouring summer rain happy, but not ecstatic. This review should have been a paean of the piscine, a love letter from a special place. There’s so much I like, from the fish-shaped plates to the menu, printed like a broadsheet newspaper, but I guess even The Greatest had his occasional off day. Despite the soggy langoustines and the flaccid chips on this occasion, I still recommend Colmans. 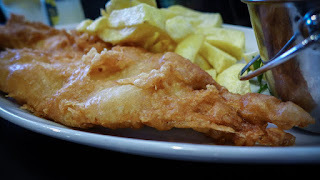 3 stars is scarcely a brickbat – see my list of criteria in the Ratings Guide - and I’d certainly still go the extra mile if you ever have the urge for real fish and chips. 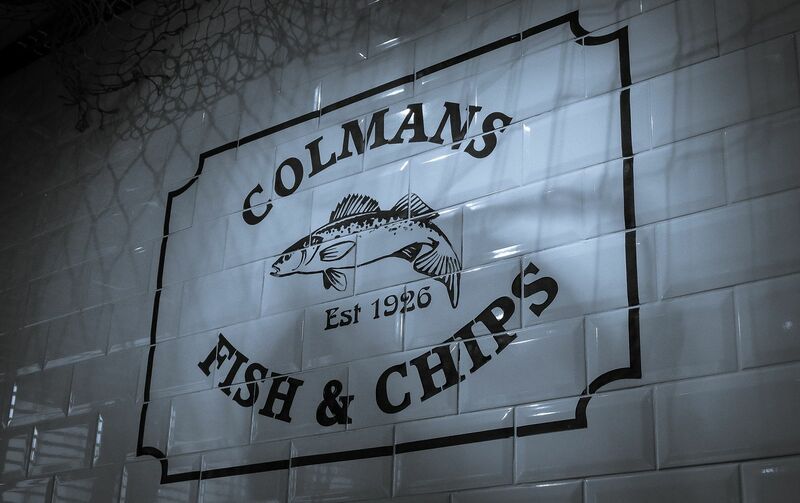 It may cost you a little more than the average chippy, but, with its focus on sustainable species, Colmans still offers some of the best value quality fish in the region – line-caught haddock and chips is £8.95. Sadly, and inexplicably after all these years of fame, it still closes at 6pm.